His Dark Materials fans, rejoice! Author Philip Pullman announced yesterday that his massive popular series His Dark Materials will be gaining a companion trilogy. The new series will be called The Book of Dust, and the first book in the series will be published on Oct. 19. It is currently available for preorder on Amazon for $22.99. 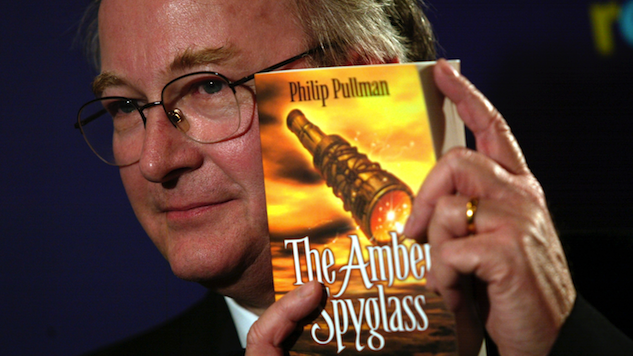 The author also said he wants readers to view the forthcoming trilogy as a companion to His Dark Materials: “It’s not a sequel, and it’s not a prequel, it’s an equal.” It feels like a long ways till Oct. 19, but Pullman fans have been waiting 17 years for this—they shouldn’t have much trouble waiting another eight months. Click here to read more about the possibility of a His Dark Materials television series, and watch a trailer for the movie version of The Golden Compass below.